It’s that time of year again! 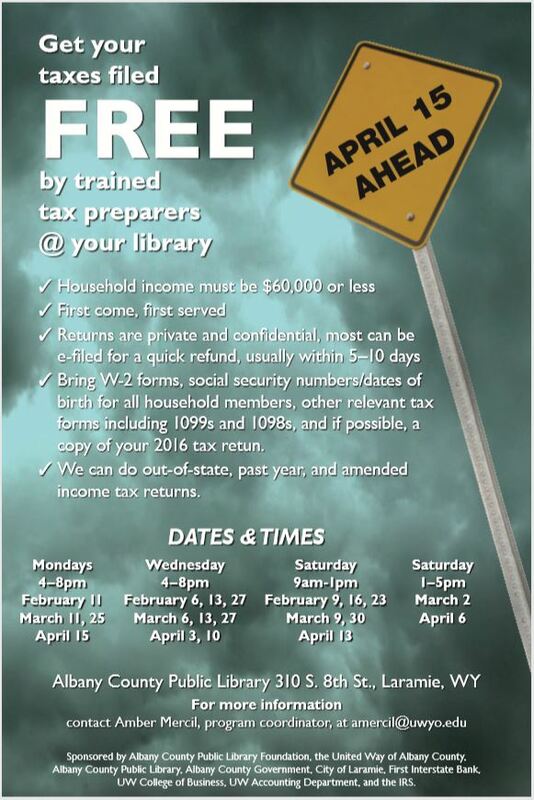 Join us at the Albany County Public Library for FREE tax prep assistance! Albany County Public Library is located at 310 S. 8th St.